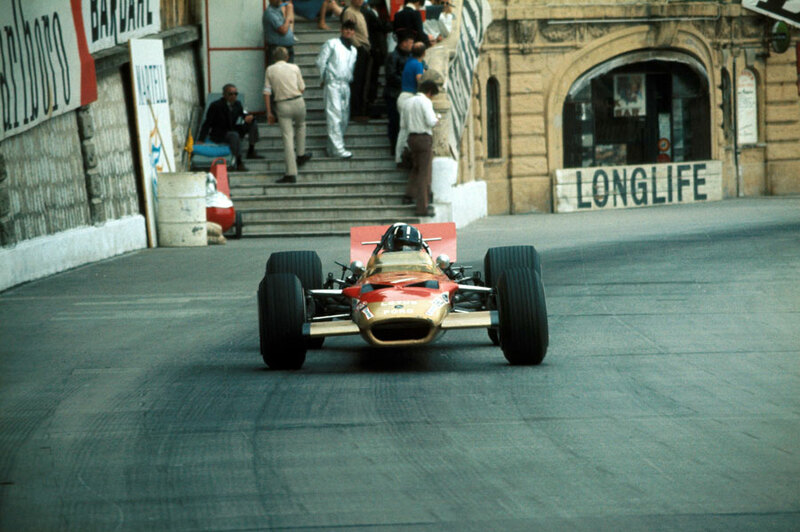 Graham Hill, the man known as Mr Monaco, took his fifth and last victory at the Monaco Grand Prix. It was also to be his final Formula One win, but given his remarkable record in Monte Carlo, there was no more fitting place for him to climb to the top of the podium for one last time. After the shambles at Barcelona, the FIA decided after the first day of practice to ban the aerofoils which had come close to costing Hill and his Lotus team-mate Jochen Rindt their lives - while Hill was racing fit, Rindt's place was taken by Richard Attwood. This caused uproar as Stewart had already broken a lap record, with his Matra boss Ken Tyrell conducting a stand-up row with the president. The decision made sense for Monaco, where the proximity of spectators would pose massive risks if there were to be a repeat of the Lotus failures, but it was the last-minute nature of the ban which rankled team bosses. "We've not been asked, we've just been told these have to be off tonight," said an angry Jack Brabham in his role as driver and team boss. "They should have given us more warning because it isn't easy to take these wings off and still make the cars handle properly." Matra's lead engineer Bruno Maurin went even further when pressed, predicting "dead people and dead drivers" if teams were forced to make such late adjustments. Fortunately, he was proved wrong. On the double Saturday practice, with the wings removed, championship leader Jackie Stewart was again fastest and took his first career pole alongside Chris Amon's Ferrari - those two swiftly moved clear of a chasing pack headed by Hill. In the early melée Jackie Oliver hit Attwood but while the Lotus was able to continue, Oliver's BRM was forced out. On the ninth lap John Surtees missed a gear in the tunnel and his BRM was shunted by Brabham, whose car lost a wheel. The key moment came when the Matras of Jean-Pierre Beltoise and then Stewart both broke down with drive shaft problems, shortly after Amon had also been forced out. That left Hill to ease to victory ahead of the young Piers Courage in the Brabham. Courage had enjoyed a tight battle with Jacky Ickx until the latter hit a kerb entering the tunnel and lost a wheel. Attwood, in his only outing for Lotus and in what turned out to be his final F1 grand prix, came home fourth. Back in seventh place, the last of the finishers, was Vic Elford in a Cooper. It was a poignant moment as it was the final appearance of a factory car from the once hugely successful Surbiton company which had so often bloodied the noses of the big boys.